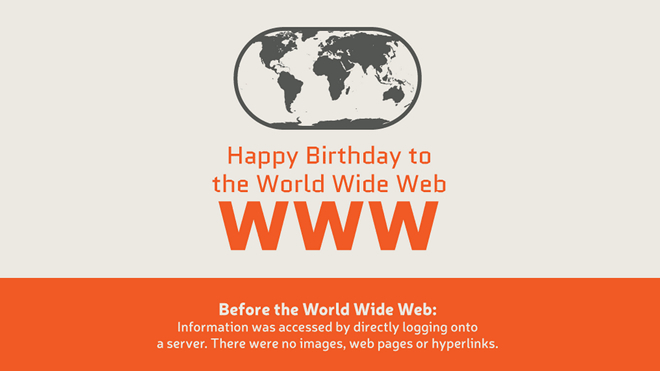 The web is 25-years-old this month. That said, what it has become today was nowhere near the forefront of Tim Berners-Lee’s mind when he plotted out his initial conception of the world wide web and handed it to his boss on a sheet of paper, on March 12 1989. At that point, Berners-Lee was simply outlining the potential for a ‘distributed information system’ at nuclear research institute CERN, to make his own and his colleagues’ jobs easier. He might have hoped to win some brownie points in his office, but not in every office, across every town, city, state, country, nook, cranny and recess in the world. 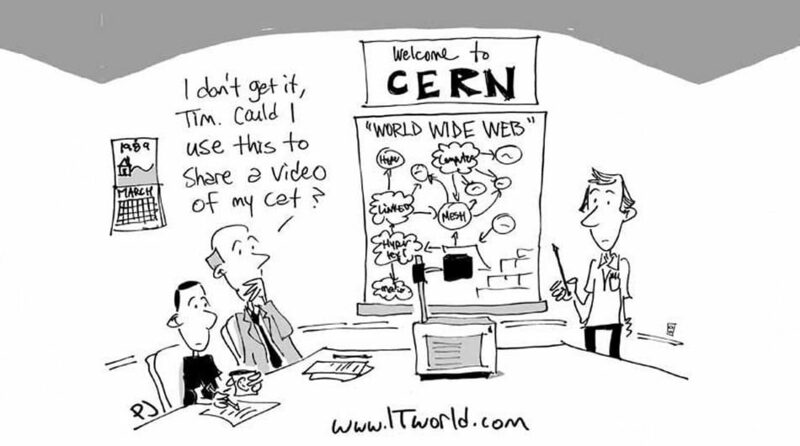 As we all know, the web has since found uses well beyond the world’s best scientific minds at CERN. It has enhanced and challenged many aspects of the daily experiences of anyone with an internet connection. The business of content marketing is one of many to have been revolutionised by this crazy and wonderful ‘distributed information system’. So as a tribute, and to wish it many happy returns on its 25th birthday, we have put together 25 ways the web has changed content marketing. Why yes, yes it did! The umbrella term ‘content marketing’ has developed alongside the web, and been enabled by it, but the essence, the content of content marketing if you will, it isn’t new in and of itself. Content marketing has existed for as long as brands have communicated with their customers via useful information, and not just the hard sell. 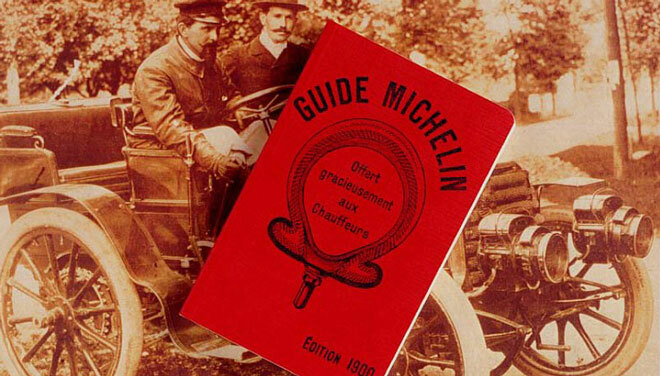 Think of the Michelin Guide – first published in 1900 and today as renowned for its travel and dining expertise as for tyre manufacturing. Our constantly ‘on’ culture was inspired by the potential of the web. Without the web, who would need a smartphone or a tablet? Without great content, why would we be glued to our devices 24/7? It turns out that as well as sales down the line, content marketing can generate far richer and better insight about potential customers than a single sale might. The web facilitates this because it isn’t a one-way street: it opens a conversation that can be analysed at every step of the customer journey. Online travel agency Mr & Mrs Smith are a great example of this. The company launched as a niche independent travel publisher, soon winning fans (and lots of sales) for its irreverent, in-the-know style and indispensable advice. Without the web, husband-and-wife founders Charles Lohan and Tamara Heber-Percy could never have developed their valuable content into the fast-growing online booking agency the company is today. 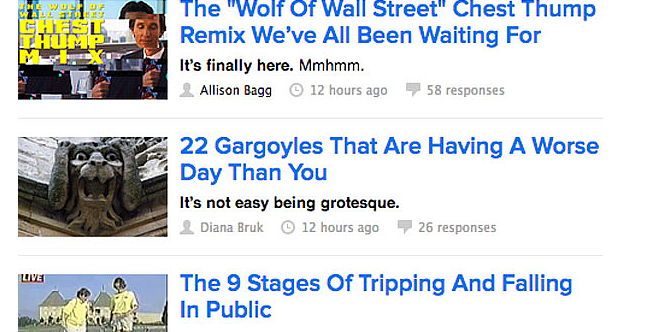 Are there more types of content or more places to publish it these days? We have the online channels of traditional print publications of course, along with social channels like Facebook, Tumblr, Twitter, Pinterest, Instagram, LinkedIn and Google+. Then there are user-generated content hubs like Flickr, forums and message boards, along with interactive services such as webinars, and weightier publications like webcasts, white papers, ebooks and microsites. Obviously this is more commonly known as ‘sharing’. Create something fabulous, give it a gentle push in the right direction, and watch it grow wings and fly. Or ‘go viral’, as they say. The best recent example of this, though now overshadowed by its ubiquity: that Oscars selfie. A 2010 report from the Content Marketing Institute’s Joe Pulizzi found that 9 out of 10 organisations were using content for marketing, and their most popular tactics were social media, at 79%, and articles, at 78%. One of the web’s great success stories, Net-a-Porter, was set up by former journalist Natalie Massenet and put content at the helm of its retail operation from the get-go. 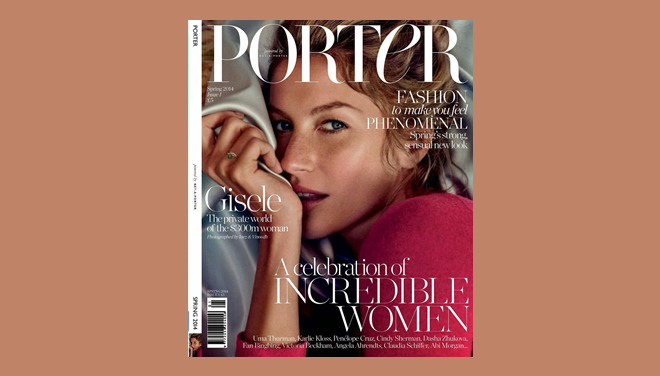 This year the reach it has achieved through smart digital behaviour has generated enough revenue to launch a print magazine, PORTER. 98% of UK organisations say they plan to maintain or increase their content budgets for 2014, and of these 75% say they will spend more on content marketing. The customer has always come first, of course. But when it comes to producing content, traditionally the producer would choose the format. Now that customers expect great content as, when and how they want it. They will be grateful for it, but only when it’s good, and if it suits their consumption habits. This means that each story should, for best effect, be packaged and repackaged to reach the right audiences, be that making an important industry announcement via an emailed press release and a quirky Vine video, or using very different headlines to communicate a story on Facebook compared to LinkedIn. Customers expect different types of content delivered via different channels and responsive to the device being used, but they also expect brands to know more about them, and that goes well beyond an email salutation. Yes, you may be an 40-plus female with teenage children, but it shouldn’t be assumed that you spend your time at home applying anti-ageing products rather than taking off on motorcycle adventures. Reaching people with different content at specific points in their user journey is also possible online, though complex to pull off well. This level of hyper-personalisation, on stretched budgets, is one of the stickiest problems in content marketing right now. The great thing about online content is that we don’t need a prospect’s contact details to reach them with it. It’s great if we have their email address and can send a crafted email – when, and only when, we have something interesting and relevant to say – but prospects will also come to us, if we feed them great content, and choose to ‘follow’ or engage with brands based on their interests, using web search and social media. While a prospect might find a brand through a piece of content shared by a friend, we should also make it as easy as possible for them to search and find us. That’s why all content must be search engine optimised – the web, thankfully, isn’t organised like the phone book. 13. New languages – come back, we don’t mean you have to learn to code! Optimising content for use online means that we need to use language differently to in print, to help users find it through Google and other search engines. This is where traditional writers, editors, publishers – storytellers of all kinds – should really find their digital drive. If you have a talent with language, then you have the right talents to create online content to suit the current SEO requirements and to repurpose that content. SEO is a really a small, but necessary, part of all online written content. Pay it its dues, but don’t allow it to dominate your ideas. You no doubt consider your content marketing efforts to be part of your brand communication activity. To get the edge however you must move beyond talking about your own brand, and give more. People don’t wake up thinking they want to know more about energy drinks, but feed them great adventure sports content and they may start to consider a can of Red Bull differently. People don’t care about your brand, they want advice, information, inspiration and entertainment. Pictures are the most commonly shared type of social media post, according to an Ipsos report on why we share social media posts. 43% of all shared posts are image-led, with the next most shared content, which are links, opinions and status updates, all lagging well behind at 26% each. You’ll have heard this a lot lately. Maybe your boss yells it at you every Monday morning. Great video fulfils so much of the potential of really successful content marketing: short, visual content which is easy to digest and has, wonderfully, the potential to meet the needs of different groups in an increasingly segmented marketplace. Most importantly, film has the ability to fill people’s emotional needs; it can create connections incredibly quickly and charm the socks of viewers, even if dealing with distasteful subject matter such as intensive farming practices, as Chipotle proved with its animated short The Scarecrow, a captivating and heartstring-tugging piece of film-making in itself, as well as an ad for a free iOS game. We watch most of our video on Youtube and Vimeo. Within a week of The Scarecrow’s launch on Youtube in September 2013 it had achieved over 6 million views, and to date has over 12 million, thanks to ongoing sharing from traditional (The Guardian and The New Yorker) and non traditional (Gawker) media. The moment when brand communications are engaging enough to interest mainstream media is, undoubtedly, content marketing’s sweet spot. Buzzfeed Video has been making video for over a year, but it has made more videos in the past month than in all its previous existence. Expect to see far more branded cat videos in your feeds from now on. You must have heard your own sharp intake of breath just then. Content is far from free, whether it’s crappy or awe inspiring. Really brilliant stuff, see above, is expensive. However a certain amount of democratisation has occurred within the content sphere, allowing every business, no matter how small its budget, to create and publish content at a low cost. This can be as simple as sending out a few Tweets per day sharing articles relevant to your followers. Even LinkedIn, which is like Glastonbury for determined business networkers, recently changed its rules so that mere civilians as well as its pre-anointed influencers can publish long-form articles. As well as helping small businesses to build relationships with customers without investing in expensive print production and distribution costs, the web is a wonderful way for sole traders to poke their personalities above the parapet, as well as for individuals in organisations to develop individual brands within a corporation. Of course this has opened the floodgates to selfieaholics and Instagrambores,but sometimes these two produce quite stunning results. This is one of the real wonders of the world wide web – the way we can get information directly from our target audiences, without shelling out for costly focus groups or collecting paper questionnaires. The quality of the information we can obtain, to further personalise our efforts, is astounding. It is also a great responsibility. Knowing such detail about customers means that they must really trust you. To create this trusting, reciprocal relationship, make them like you by giving them great content. Much of this information is obtained from diligent reporting, from top level Google Analytics insights to the precision conclusions only hours poring over complex data from ComScore or Brandwatch, but none of it is useful unless you are directing your content marketing output within the framework of a goal-focused content strategy. Thanks to the web, we can create, implement and track any content marketing strategy, no matter how big or small, to really see how effective our content is. The Content Marketing Institute says that 84% of those who consider their content marketing to be ineffective have no strategy, while 66% of those who do have a strategy consider themselves to be effective. If you don’t know why you’re creating content, who you’re creating it for and why they might care about it – why bother? Advertisers and content marketers share both skills and responsibilities (is content marketing native advertising? Will anyone ever pin down these definitions satisfactorily?) but as the web pushes on an evolving marketplace, it’s the content marketers who are slipping away with chunks of the adman’s overstuffed pie, while he has been slow to react. Part of this is down to the mood of consumers, turned off by blunt selling in straitened times, and annoyed if they feel patronised by brands. Another part is down to new and flexible ways to get your content out there – which costs money, but nowhere near the amounts typical print or broadcast campaigns demanded. Content ‘discovery’ companies like Outbrain and Taboola will put your content in front of people reading national newspaper brands online, for a fraction of the cost of a single newspaper. The only way we can successfully manage all of the information generated by in-depth reporting, which will help hone your strategy down the line, not to mention sharing information across offices and agencies in different cities and countries, is through a huge number of web-based applications. Consider, for a moment, how you would get your work done without tools such as Dropbox, Google Drive, LiveDrive, Basecamp and Huddle; email clients such as Adestra, Constant Contact, Campaign Monitor and MailChimp; social account management systems such as Hootsuite and Sprout Social; and content production tools such as Contently and Skyword. Yes, we can indeed produce more content. But we must produce it wisely. Content spammers are taught painful lessons by Google’s regular releases, honed to chase down keyword-crammers and backlink-buyers, and to show no mercy. If you’re interested in quality content, hopefully you aren’t interested in any of these darker arts. But there is an ongoing tug of war between quality and quantity. Sure, go ahead and create enough content to encourage users to your site, but make sure that content is consistently good. At River we’re strong believers in creating content that does more, rather than just creating more content. Content has to work harder to cut through the immense volumes of rubbish, too. And hey, guess what? If it’s informative or entertaining, relevant to the consumer, is distributed through the right channels and isn’t a blatant ad, it will. Funny, isn’t it? Tim Berners-Lee wanted to organise and share information in a beautiful and efficient way, but whether we’re online or offline, on Buzzfeed or writing a shopping list, when it comes to content, we can’t resist the lure of a good old list.